Every October, and in conjunction with Public Health England, the NHS promotes Stoptober as an ideal opportunity for smokers to unite in an effort to quit the smoking habit. The NHS offers free support for those willing to participate throughout the 28 day period – and anyone considering taking the challenge should certainly register and take advantage of the professional help available. The BBC health correspondent Nick Triggle has pointed out that this year’s Stoptober Campaign has for the first time supported the use of e-cigarettes. The use of e-cigarettes proved to be the most popular method for stopping smoking during the 2016 Stoptober campaign. While NHS Health Scotland reports that vaping is “definitely” safer than smoking. We all know the difficulty of quitting smoking, but just with a concerted effort and a desire to help yourself, the first step is already taken. The help offered by the NHS is freely available and you should take full advantage by registering on-line at the NHS smokefree web site. It is simple and straight forward, and the support offered will help you through the 28 days. There’s more available than the personal help pack – you can also use your local “Smoke Free” Quit Smoking Service to support your Stoptober effort – the service is FREE. The ideal situation would be to carry on as a non-smoker after Stoptober… and for the rest of your like – freedom! Your local ‘Stop Smoking’ service is there to offer support, advice and encouragement. Not only are you four times more likely to quit smoking with help, you are in the hands of trained advisers who through group sessions and one-to-one help can offer much needed encouragement especially through the tougher times. Advice on all aspects of cessation is available including advice on nicotine replacement products and other stop smoking medicines. Thousands of people have quit using the available free NHS help – why shouldn’t you? There are suggested ‘best ways’ to get yourself ready for the journey to freedom, and there are best ways to to go about quitting. Through years of experience, the advice available has been fine tuned to maximise your chances of quitting – you don’t have to do it on your own and you have a significantly better chance if you use the support available to you. Let’s look at this again – £3000 per year – every year! That is a very nice holiday in the sun, or even £9000 every three years towards a car. What would you do with an extra £3000 each year? We know, no doubt here, that every cigarette we smoke will cause us real harm – short term we may not feel the immediate effect (which is convenient – but we all know that sometime in the future chances are we are going to pay the price). We all know that when we get there and look back it wont have been worth it! Our body can recover – give it a chance by stopping! Register today for Stoptober – nothing to lose and everything to gain! Cigarette prices and Food for Thought. 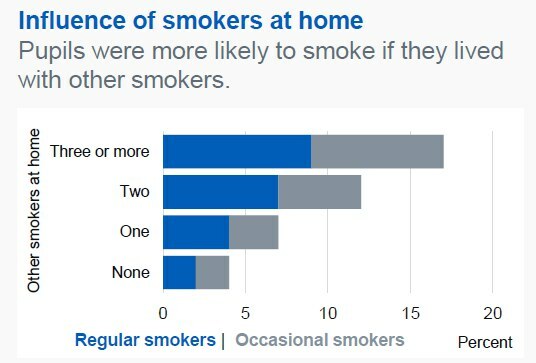 • There were estimated to be around 474 thousand hospital admissions attributable to smoking in 2015/16, which was an increase from 458 thousand in 2005/06. • As a proportion of all admissions, this has fallen to 4 per cent from 6 per cent in 2005/06. • There were estimated to be around 79 thousand deaths attributable to smoking in 2015. This represents 16 per cent of all deaths.